Premier NHD | Try the Premier NHD Difference Today! $65 - One Price for All Reports! 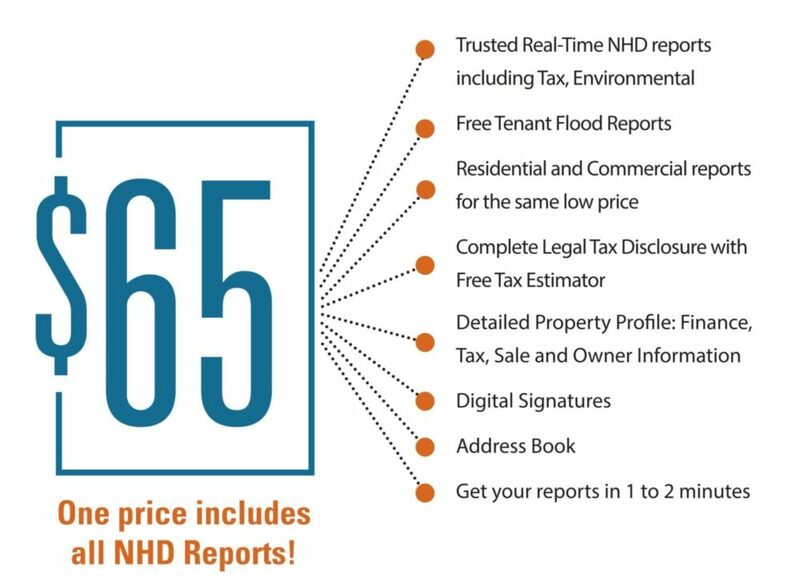 You can now order NHD/Environmental/Tax Reports for a low cost of $65! NHD Reports in 1 minute! You can use our real-time maps to locate hazards, in real time! Our support team will respond quickly to your questions and concerns! Our residential and commercial reports are priced competitively. Read more below to learn about our products! Save time by using our portal to place an order. You will receive a complete NHD report in a snap! Your reports are safely and securely stored in our server. All of our NHD reports include a complete NHD and Supplemental Tax Report. Additionally, you can purchase an Environmental report with our Premier Plus reports. Premier NHD offers two versions of Residential Natural Hazard Disclosure Reports as well as a Commercial Natural Hazard Disclosure. – Errors and Omissions Insurance: Premier NHD offers Errors and Omissions Insurance to cover all parties in real estate transactions! – Tax Estimator: Calculate your tax bill based on the new purchase price! – FREE Tenant Flood Report: The Tenant Flood Report allows landlords to comply with California Civil Code 1103! Try the Premier NHD Difference Today!